• The student must apply for any financial aid and complete the Free Application for Federal Student Aid (FAFSA). • Students who receive a scholarship must remain full-time students (12 or more credit hours) for the entire semester. 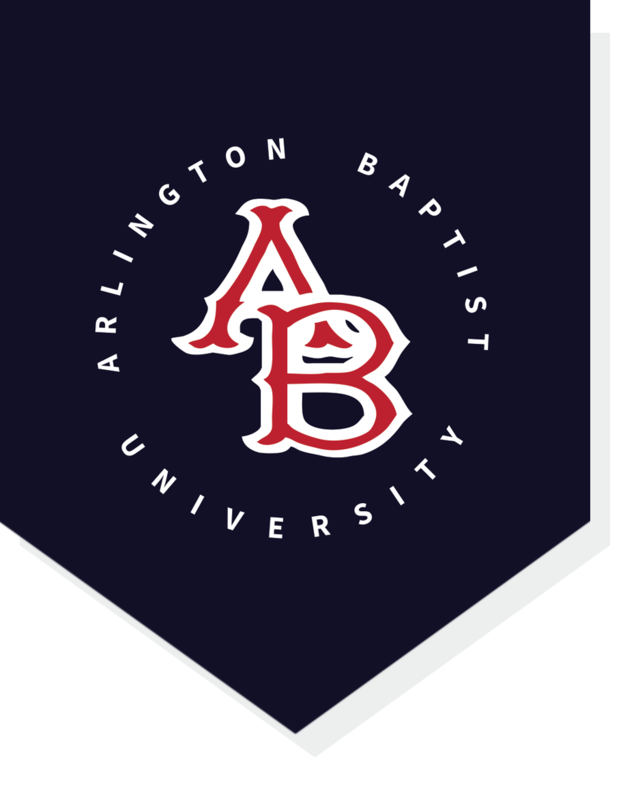 • To apply for any Arlington Baptist University academic scholarships, first-time college students must submit the scholarship application along with your final high school GPA and scores from either the SAT or ACT. • Academic scholarships and grants are for tuition only and cannot be applied to fees. Most are open only to first-time ABU students. • Scholarships are to cover no more than the difference between your academic tuition costs and any Pell Grant award. Scholarship credits cannot exceed the balance owed nor be carried over to the next semester. • Transfer students with less than 30 hours of college credit will be assessed for academic scholarships by their ACT/SAT score and college GPA. If you have accumulated at least 30+ hours of college credit, the college GPA will be the basis for the academic scholarship. If you have attended more than one college, then an average of all transcripts will be used to calculate cumulative GPA. • Deadlines for new fall applicants is July 31 for the fall semester, and December 31 for the new spring applicants. • Leadership Scholarships are open to both new and returning students but returning students can only apply for the Leadership Scholarships in the fall semester with a July 31st deadline. Maintain a cumulative GPA of 3.75 or above. Be a full-time student (12 or more credit hours) for the entire semester. Any student placed on disciplinary probation is subject to forfeiting scholarship funds. All general requirements for initial qualifications must be upheld. Maintain continuous enrollment during the fall and spring semesters. Maintain a passing grade in Christian Service. Maintain a cumulative GPA of 3.0 or above. If the student’s cumulative GPA should fall below a 3.0, the student becomes ineligible for scholarship funds until the cumulative GPA is raised to 3.0 or higher. Maintain a cumulative GPA of 3.0 or above. If the student’s cumulative GPA should fall below a 3.0, the student becomes ineligible for scholarship funds until the next calendar year. Submit a letter of recommendation from two faculty members of Arlington Baptist University. Recommendations will be based on class attendance, participation, character and leadership within the classroom setting. Recommendations must be from a professor of a class you took on-campus in the term immediately preceding the fall term for which you are applying. Maintain a cumulative GPA of 2.5 or above. If one of the student’s cumulative GPA should fall below a 2.5, both students become ineligible for scholarship funds until the deficient GPA is restored. If either student becomes subject to disciplinary action, the scholarship will be suspended for a minimum of one semester for both students. A request for reinstatement following disciplinary action will be considered on a case by case basis. Click Here for Referral Scholarship Application. Students applying for this scholarship must print and give the form to the professor. The professor can turn in the recommendation form to Kim Marvin in the Business office.